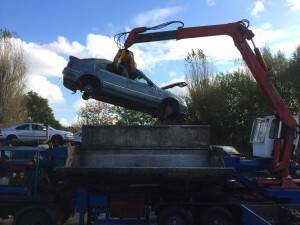 Whether your car is too old or has failed MOT, NVD will give you the maximum scrap weight price for your vehicle. With hundreds of cars being scrapped on site each week, we are able to provide you with a wide range of second hand car parts and used engines. Once you have bought your second hand car parts or engine, you can also have your purchases fitted on site, which is often a much cheaper alternative to buying from a main dealer. If you are looking to scrap your car in Northampton or simply for a Northampton scrap yard for used car parts, why not pop in or give us a call.